Spray 13x9-inch pan with cooking spray. Spray large bowl with cooking spray. 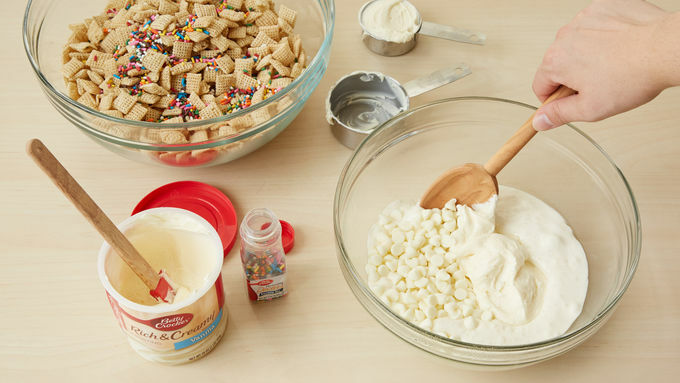 Add cereal and 1/4 cup of the decors to bowl. Spray medium microwavable bowl with cooking spray. Add butter and marshmallows. Microwave uncovered on High 1 minute 30 seconds to 2 minutes or until smooth, stirring every 30 seconds. Stir in 1/2 cup of the frosting and the white vanilla baking chips. Continue to microwave uncovered on High 30 to 60 seconds; stir until well blended. 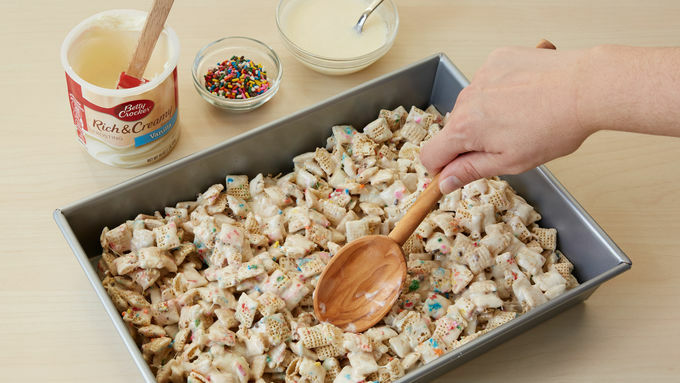 Pour hot marshmallow mixture over cereal mixture; stir until cereal is well coated. Press firmly in pan. In small microwavable bowl, microwave remaining 1/4 cup frosting uncovered on High 5 to 10 seconds, stirring until melted and smooth. Drizzle over top of bar with fork. 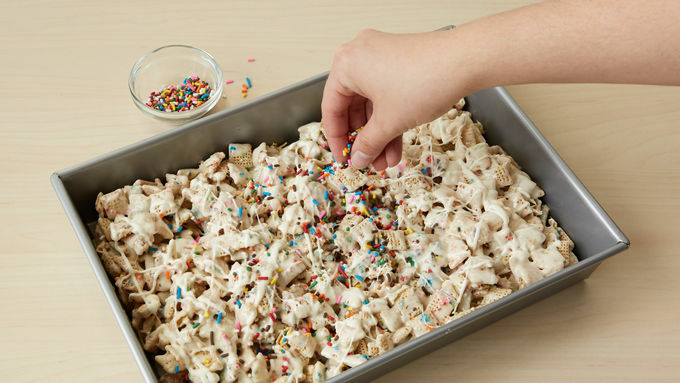 Sprinkle remaining sprinkles over top. Cool at least 1 1/2 hours until firm. For bars, cut into 6 rows by 4 rows. Store in airtight container at room temperature. 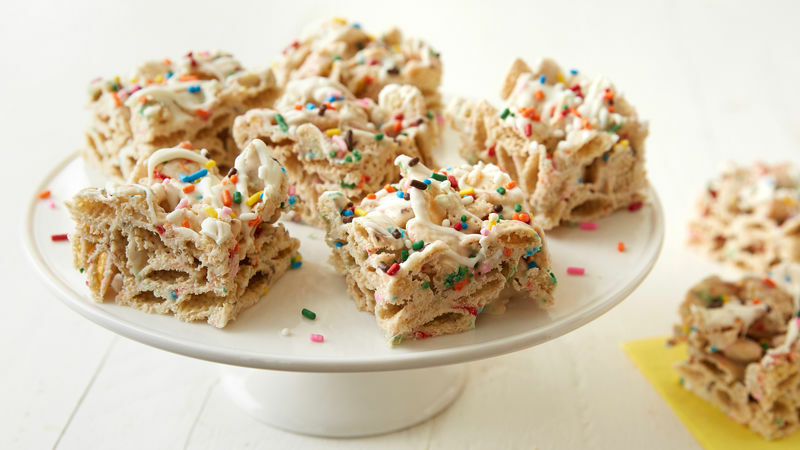 Customize this cereal bar for any holiday by using other colors of decors.